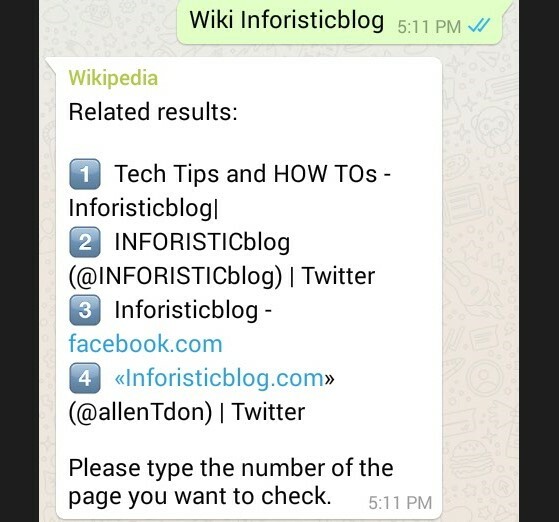 Whatsapp, one of the most widely used mobile messaging application in the world has been discovered to also feature some search engine abilities. This simply means that apart from using Whatsapp to chat and make voice calls, the mobile messaging app can also be used to send search queries and get results in real time. 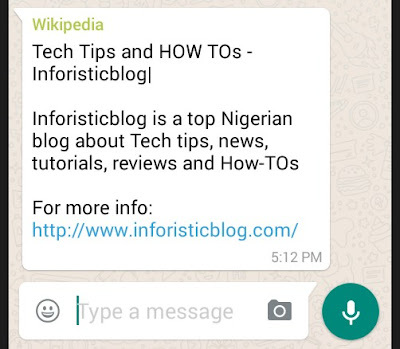 See how to activate it on your whatsapp as you read on. Click Create and you have completed the set-up process. Anytime you want to enter a search query, just type the words into the group you created starting with the word, "Wiki" without the quotes. 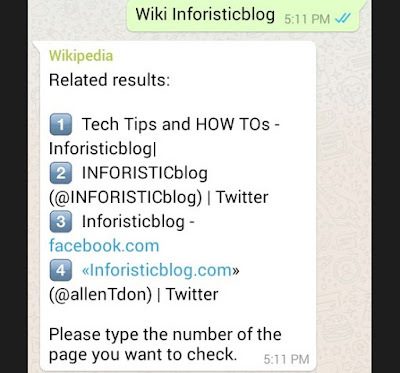 For example Wiki Inforisticblog and you will get the search result in no time. See screenshot below.